Cell Illustrator is a software tool that enables biologists to draw, model, elucidate and simulate complex biological processes and systems. It has outstanding drawing capabilities, moreover it allows researchers to model metabolic pathways, signal transduction cascades, gene regulatory pathways as well as dynamic interactions of various biological entities such as genomic DNA, mRNA and proteins. Cell Illustrator models are used to visualize biological pathways, interpret experimental data and test hypotheses. 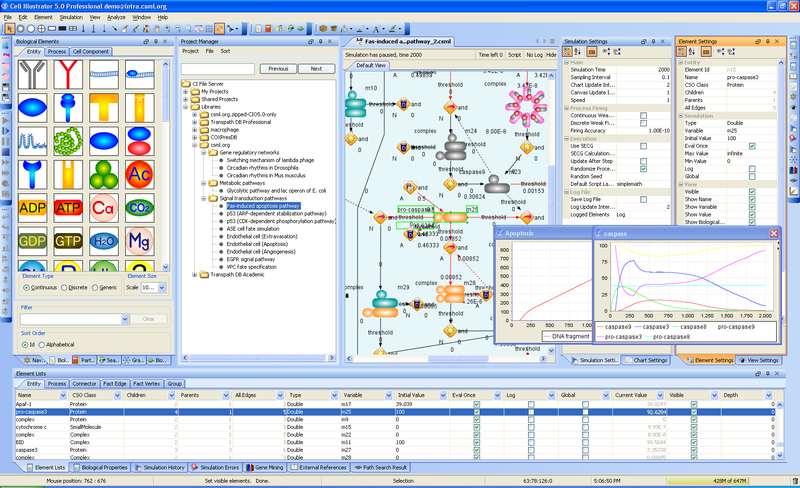 In addition, it provides researchers with model diagrams of publication quality and simulation result charts. For detailed installation instructions see here. A list of sample models can be found at Case Studies.